The efficacy of the Alexander Technique has been recognised by countless people including orthopaedic surgeons, gynaecologists, nurses, midwives, athletes, artists, musicians, actors, dancers, teachers, computer professionals, counsellors, the list literally goes on and on. I have worked with ages 4 - 78 in applying my understandings of movement re-education. It is a delight for me to accompany people in their voyages of self-discovery and enhanced awareness. My primary interest is in learning itself. Over the years I have been researching some of the components facilitating learning for children, adolescents and adults. In my article, Flying the Kite, I describe my unfolding from early days of private AT lessons whilst studying for a teaching and piano performance degree, to currently when I have been teaching individuals and groups for thirty years whether in music or art therapy or undiluted bodywork. This article can be read in the Articles/Books section of this website. If you'd like to buy a copy of the book 'Touch Your Heart Trust Your Body', which I co-wrote with Dung Nguyen for the South Australian Department of Human Services, please send an email to marilyn.boss@dhs.sa.gov.au. I have enormous respect for F.M. Alexander's understandings and appreciate their profound impact on my personal and professional life. I am glad that we can continue to develop what he described as his blueprint. I have studied Qi Gong with Master Peng Jiu Ling and the basics of Chinese medicine with Nili Bassan. Nutrition has been a major passion over the last three decades. My work is informed by a deep familiarity with the I Ching. You can read comments from a few of my clients. 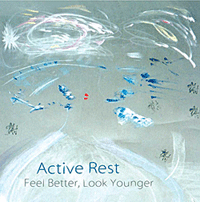 'Active Rest', a CD offering my ideas for bodywork, is available by emailing vardash@ozemail.com.au. Click on the image for pricing information. Coming to self-expression through any of the creative arts can be a revelation. Simply connecting with paint, clay or sound brings liberation. All too often I meet with people who have rarely experienced freedom to create without judgement, in safe exploration. Working with materials or instruments reconnects to internal creative forces, with repercussions in other areas of functioning. I like to offer some bodywork prior to art work, thereby freeing the person from some holding patterns so that there is a less conditioned approach to the creative practice. In my last placement which was at the Hills Montessori School in Adelaide, I met with some children for a term and talked with them whilst they were interacting with playdough, painting, sculpting, dripping wax in collage, telling stories. I like to follow the child's initiatives as much as possible within a flexible structure and am happy to delve into the world of play if invited there. I use different sized rubber gym balls, any toys in reach and voyage magically into imagination's vast territories. I first encountered the I Ching when I was 17. I was struck by the relevance of its message for my life at that point, wonderstruck that a book over 5000 years old could address my current reality so perceptively. I began to use the I Ching as a planning aid for teaching children in 1983, and since then have consulted the oracle before any session with an individual or group. The I Ching anchors me in realms which are ego-free, helps me to be simple and organic in my interventions. Initially I studied piano and theory from age 5 to 15, deciding as a teenager to experience life outside of practising piano and learning theory. I returned to play in my twenties and decided to follow through to university level, receiving a Bachelor of Music and teacher's certificate in piano performance at Tel Aviv University in 1986, winning a prize with a violist for chamber music in the final year. I taught piano to young people from 1983, finding that I was often employed for several children in one family which taught me worlds about family systems. As my experience grew, I became clearer that I wanted to help people not only learn to play Beethoven or jazz but to be at peace with self and unleash full potentialities. I was influenced by my studies of the Alexander Technique and placed emphasis on experiential learning balanced with theory, in complete therapeutic safety. In years following I immersed myself studying bodywork and other therapies. I discovered that my psycho-physical difficulties with performance and written music were actually a capability to compose music asking to be freed, a metaphor for the freedom I yearned for in general. Dr. Hagar Kadima taught me composition. I wrote music for a 15 person troupe performing a fringe festival show in which I participated for two years, "Baderech Latabor" directed by Neta Plotsky and Pablo Salzman. My biggest lessons in music are my biggest lessons in life - to learn to trust self, to listen to the spaces between the music, to really open myself to hearing the music. I love to work with musicians in understanding the subtleties of their musicality (applying AT and my therapeutic skills) or just teaching piano and improvisation. 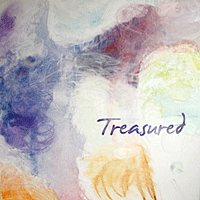 'Treasured', a CD containing 16 piano compositions, is available by emailing vardash@ozemail.com.au. 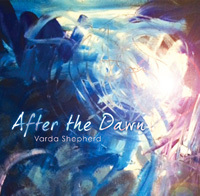 'After the Dawn', a CD containing 7 piano compositions, also available by emailing vardash@ozemail.com.au. Growing up in Africa showed me multiple violent practices between people, particularly the exploitative approach of colonialism. I am committed to bearing witness and supporting people to recover and become empowered in their daily lives. I'm a family therapist and mediator, frequently working with several members of a family or community, to facilitate the co-creation of win-win agreements in custodial, financial and other matters. I respect the privacy of each person's process, aiming to give best service to facilitate optimal outcome. I mediate in situations of family or relationship challenge, workplace disputes, human resource management conflicts and professional development. I will give you every care and attention within my capability, and would be honoured to meet you in that way. I have spent several decades studying and practising the Alexander Technique and a variety of therapeutic tools which I incorporate into family therapy, working with couples and their children in various stages of life. In 2013 I underwent accreditation as a mediator with the Attorney-General's Office of the Queensland Government. I found this course inspiring and challenging. Since that time I have applied the principles learned where possible. I intend to continue training to gain proficiency as mediation is quite an art. I see effective therapy as mediation between multiple spheres and layers of internal and external relating - between the conditioned and the possibility. Between the dream and wakefulness. Between earlier aspects of self and the current experience. Between the self and the expressed. Between a feeling and the creation. Growing up in a household where discord was frequent, I learned as a young child to see situations from each party's perspective, perhaps my earliest therapeutic intervention! Nowadays in my personal life I mediate between my musicianship and my activism, between my sports enthusiast and my writer. Many realities offered in this life. Bridging successfully between different possibilities can bring wonderful deepening.